Removing the Frame from a X-Plane Garmin G1000 Popout Window | Life, The Universe and ... Everything! 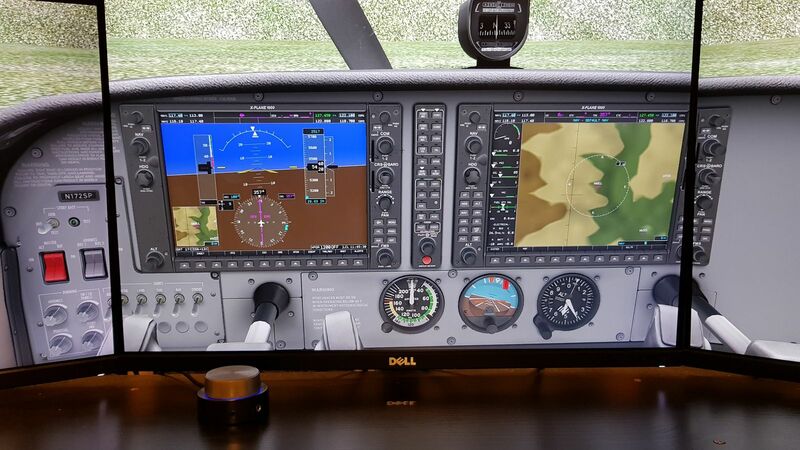 The Garmin G1000's displays have a 4:3 ratio. 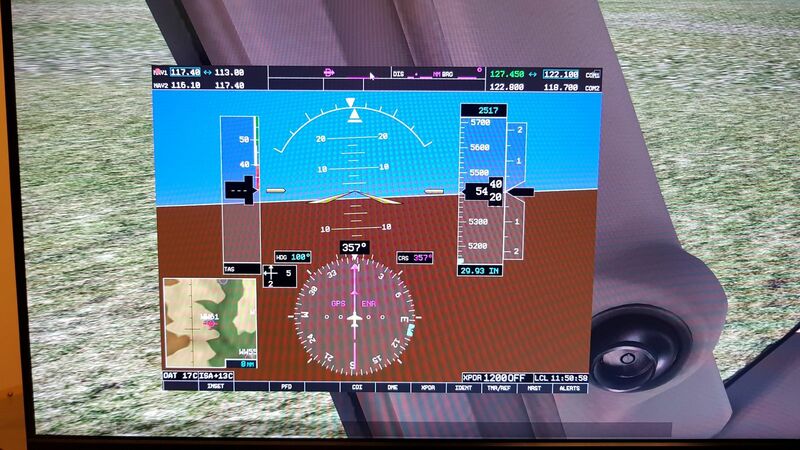 Since these are getting harder to find these days, I wanted to see what the X-Plane Garmin G1000 looks like without the bezel, when stretched full screen on a 16:9 monitor. 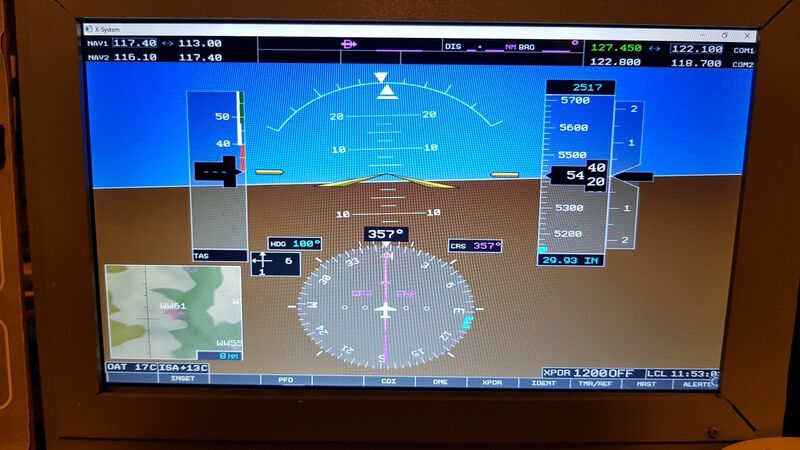 Several people who build home-cockpit setups have asked about removing the bezels from the popup displays, so they can have only the screen of a GNS430/530, FMS or G1000 instrument to put on an external monitor, with a hardware bezel around it. While this can already be achieved through some clever hacking in the Miscellaneous.prf file, we now offer a more straightforward way to do this: The popup and pop-out windows now get their bezel graphics from the library system, so you can override the bezel graphics. How to override the bezel with nothing, if your bezel is made of hardware? Simply supply a 1x1 pixel blank .png as a bezel graphic, and X-Plane will know that you really want no bezel at all. 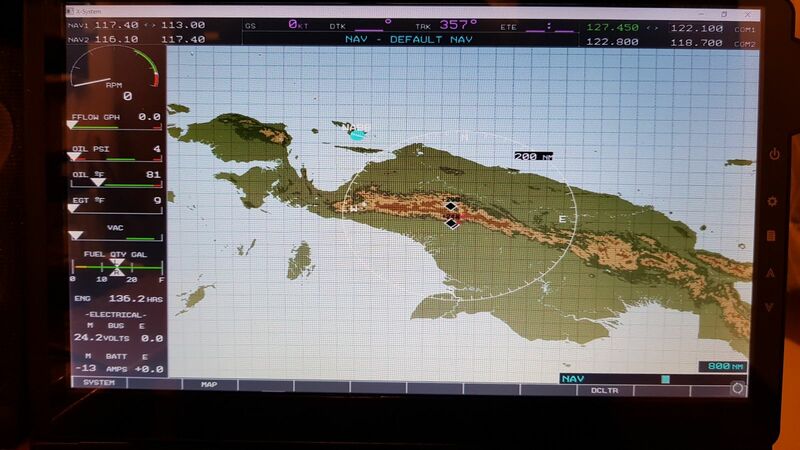 In the case of a bezel-less 430, you'd put a 1x1 pixel png as the "cockpit/radios/GPS FMS/Garmin_430_2d.png" resource of your plane. So how does one go about doing this? Let's try it on the Cessna 172 with G1000, since this is ... well the only default plane that has a G1000 for the moment. 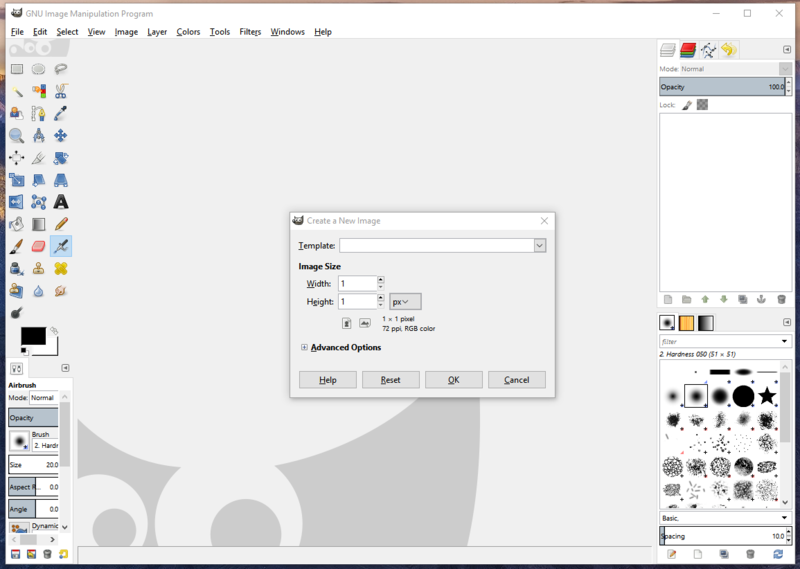 First, we fire up GIMP to create the 1x1.png. From GIMP's menu bar, select File -> New. 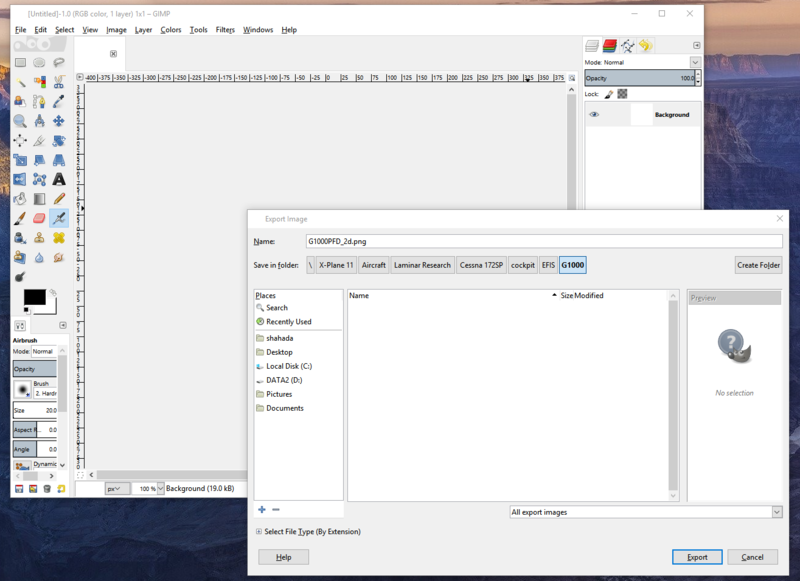 Enter a width and height of 1 and press OK.
Next, select File -> Export As, and browse to your X-Plane Folder, followed by Aircraft -> Laminar Research -> Cessna 172SP. Then create the following folders: cockpit -> EFIS -> G1000. Finally save the image here with the name "G1000PFD_2d.png" or "G1000MFD_2d.png". You're done! Now fire up X-Plane 11 and choose to fly the "Cessna 172SP (G1000)". Here's what happens when you pop them out by clicking on them. Notice the bezels are now gone when in the panels are popped out. And here's what they look like when dragged to full-screen on a 12" 1366x768 16:9 ratio monitor. The image is stretched horizontally, but not unusable. Given that I also use these monitors run XHSI (for the glass-cockpit 737NG) and Air Manager (for old-style steam gauges), I'll probably stick with them and live with the stretching. btw: If anyone can suggest how to remove the top window bar, please leave a note in the comments.